Two playful and outgoing children, Tammy and Teenie come to Sherwood Forest to visit their uncle, the Sheriff of Nottingham, little do they suspect that he is planning their demise. The Sheriff is only interested in an inheritance that he would receive if it weren’t for those wretched children. The Sheriff also has poor Marian under his spell but she soon learns of his wicked ways and hopes that he won’t get away with it. Robin Hood is a legendary archer who steals from the rich and gives to the poor. Robin along with his Merry Band and Nanny Dame Dannii promise to take down the Sheriff and make Sherwood Forest safe for all again. 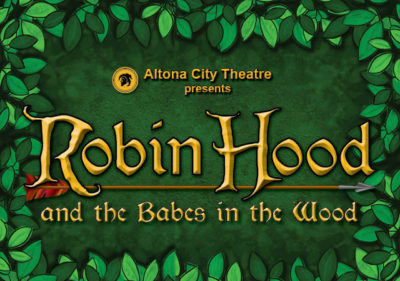 Full of laughs, magic, and hijinks, Robin Hood is a pantomime for the whole family and a great way to introduce children to the world of theatre.